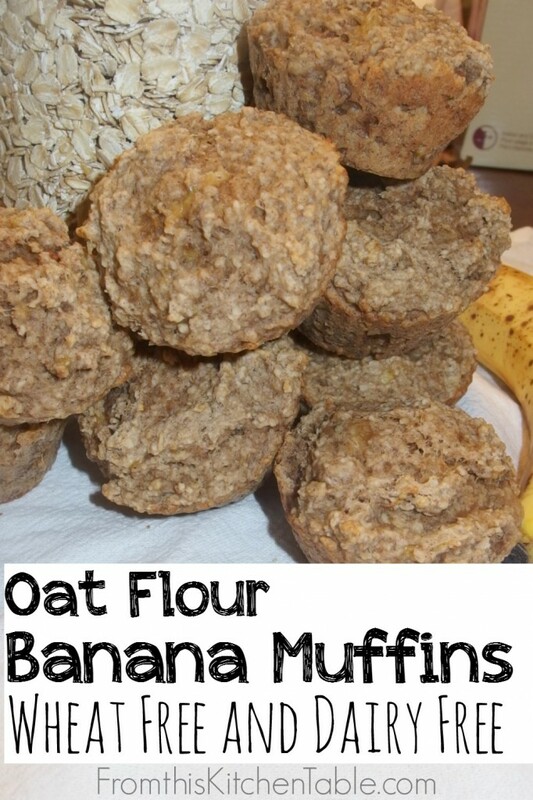 These Oat Flour Banana Muffins (that are dairy and wheat free) make the perfect breakfast, snack, and freezer food. That means you can make a double or triple batch and enjoy the wonderful smells wafting through your kitchen one day and stock your freezer for the next few weeks at the same time. Guess what else? There’s no added sugar. That’s right, not even honey, maple syrup, or stevia. Using ripe bananas adds the perfect sweetness. That makes me happy as I try to keep breakfasts with sugar to special occasions. All that to say, if your family is used to sweet muffins, you might want to use the chocolate chips or add a little honey (or even sugar) the first time you make them and each time you make them use less. We all eat and enjoy them just as they are though. Mini muffins work best in our house. They are the perfect size for a 4 year old and a 20 month old. Less waste if they decide they aren’t hungry anymore after one bite, if you know what I mean. Of course you can make this recipe into bread or regular muffins as well. 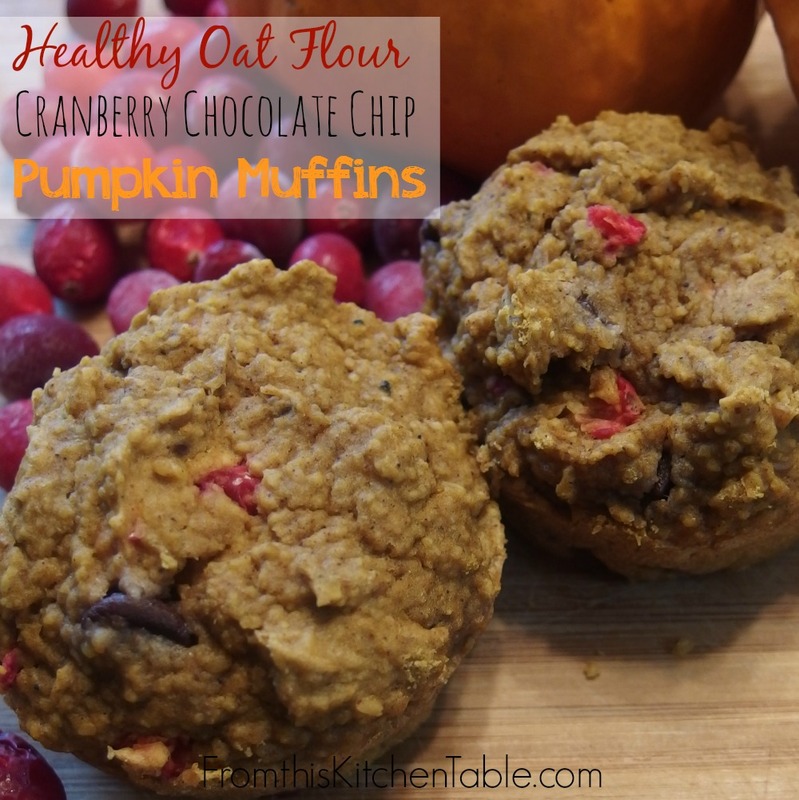 Watch the cooking time closely the first time you make these – we all fill our muffins tins to different levels, oven temperatures vary, and pans cook differently. Depending on how full you fill your pans this recipe will make 36-48 mini muffins. Last time I made it we got 12 mini muffins and 11 regular sized ones out of a batch. 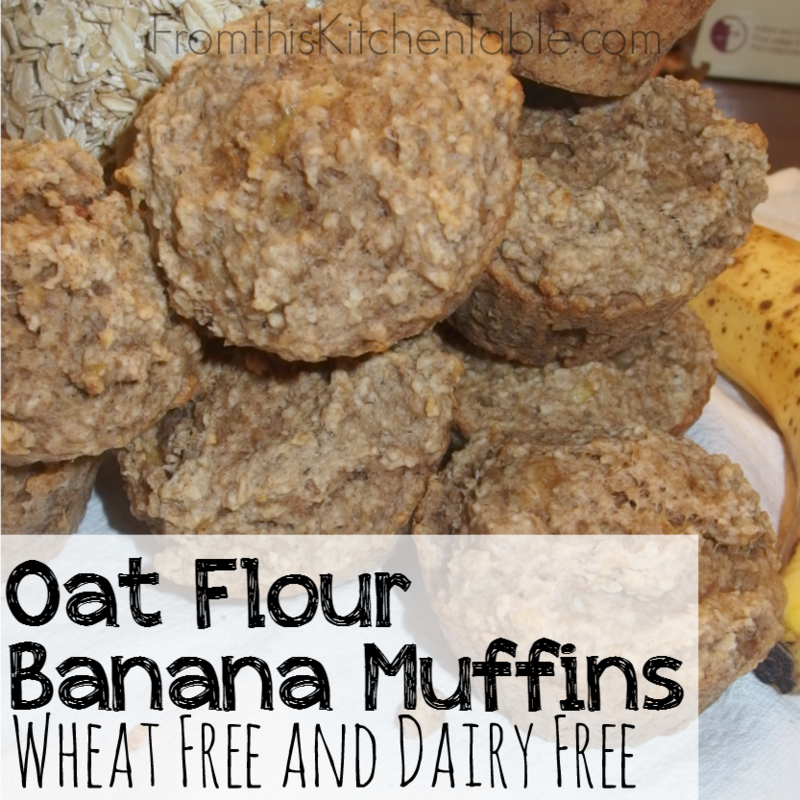 I hope you enjoy these wheat free dairy free oat flour banana muffins as much as we do knowing you’ll be feeding your family a healthy, nutritious, and portable breakfast. In a large mixing bowl smash the bananas with a fork or pastry cutter. Add in the coconut oil, eggs and vanilla. Mix well. In a separate bowl combine oat flour, cinnamon, baking powder, baking soda and salt. Whisk together. Add the dry ingredients to the wet and stir until combine. Place in greased muffins tins or bread pans. Bake for 10-12 minutes for mini muffins. Add a little honey (or sugar) if your family likes sweeter muffins! 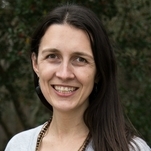 This entry was posted in Uncategorized on January 30, 2015 by Deanna Michaels. Stopping by from MMM link up! The muffins look delish! 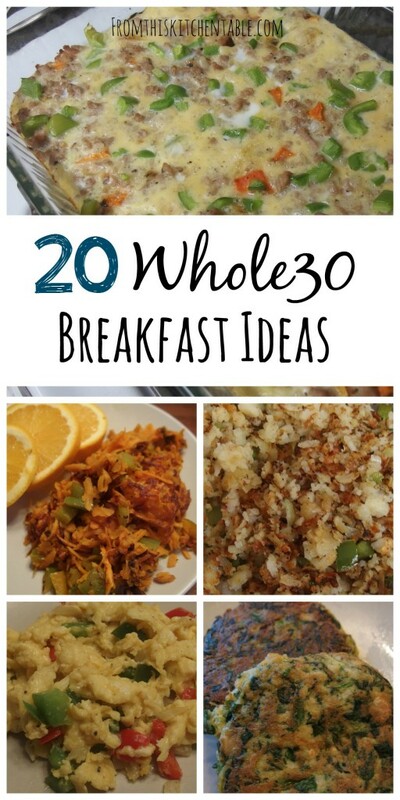 We are wheat and dairy free along with several other things so I’m always coming up with new recipes! 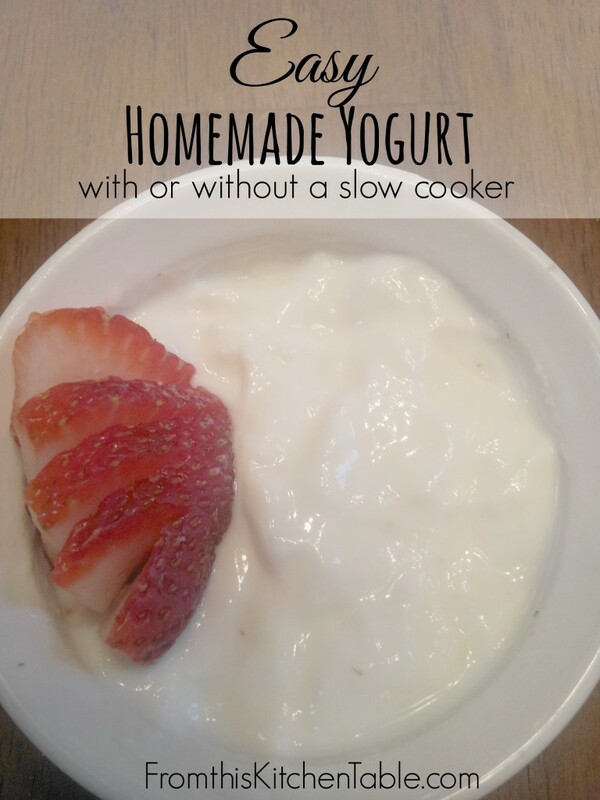 They are yummy and easy! Thanks for stopping by. I just shared these on our Adventures in Mindful living FB page and pinned too! Thanks, I appreciate it. You are too kind! Thanks, Becky! I hope she enjoys them. We aren’t gluten free either but I like to find recipes that aren’t always so full of wheat – variety is always good. Best wishes on your blogging!!! Great recipe, Deanna! Not only is this a delicious and healthy dish, it can easily be made vegan for peeps like me with using an egg substitute. 🙂 Thank you for sharing! Very true, Michelle! I’ve only used one egg before and added flax for the other but haven’t done both yet. Love healthy and easy. These look delicious, and I love that they are dairy free. Thanks so much for sharing at Totally Terrific Tuesday! We hope to see you again this week!